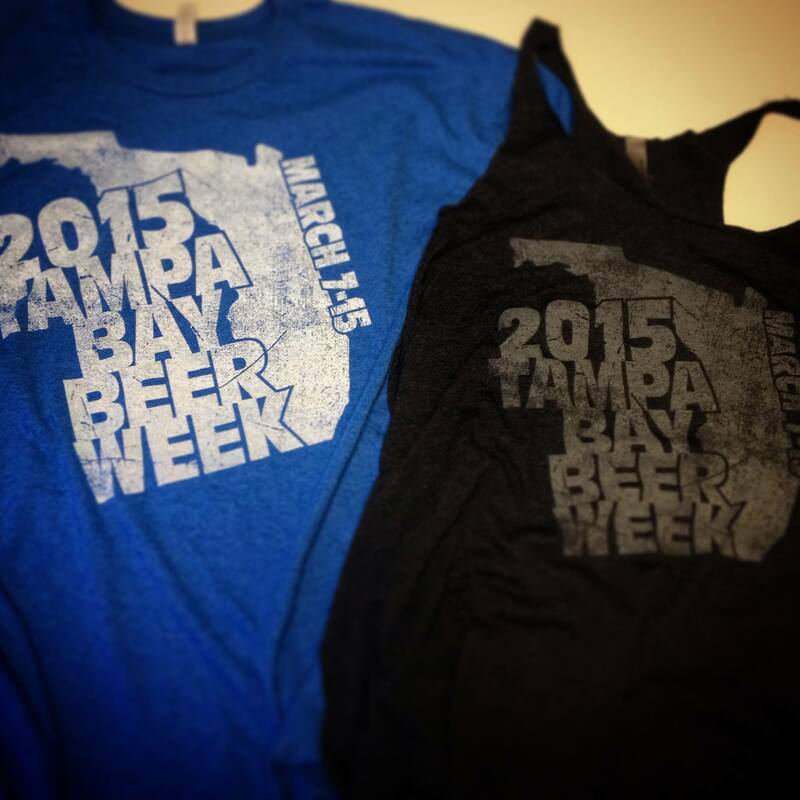 We are now counting the hours until we kick off the 2015 Tampa Bay Beer Week festivities. Every year, this week gets bigger and better, more people flock to our fair region and discover the incredible beer culture that Tampa Bay has to offer. I am privileged to serve on the Board of Directors for TBBW and work with some of our areas most passionate beer lovers, as well as be an advocate and evangelist for those that have worked so hard for so long to bring us to where we are now. As always, as the week approaches, I am asked “what events are you going to?” and “what are you most looking forward to?” And every year, it gets harder and harder to answer. This is one of those times where my reservations about the ethics of human cloning go right out the window; I simply can’t be everywhere I want to be. There are so many great events, so much great beer, and so many amazing people that it is too much for one person to take on. First things first, howwever, some shameless plugs for Beer Week itself. First and foremost, get yourself an official 2015 TBBW Passport. For just $10, you get 52 pages of special offers, beer info, and event details. With exclusive discounts, free beer, swag and more from many local establishments, this is a must for all beer lovers. In addition, for the first time ever, there is an official 2015 TBBW beer! This double IPA was specifically brewed for the week by Cigar City Brewing. Brewed with Citra, Azacca, Amarillo, Equinox and Lemon Drop hops, it has already received rave reviews from those lucky enough to have tasted it. You will be able to find it on draft at select locations around the Bay Area, and bottles are available exclusively in the Cigar City Brewing tasting room. I also encourage you to visit and say thank you to our sponsors. 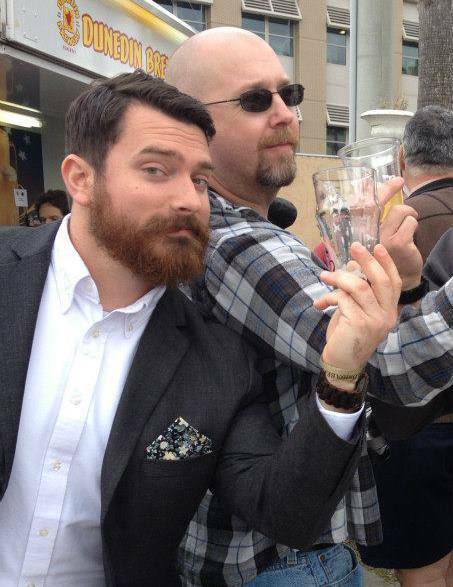 These are the front line of the beer culture in Tampa Bay, who make, distribute, and sell it to the “fourth tier”… the consumer. 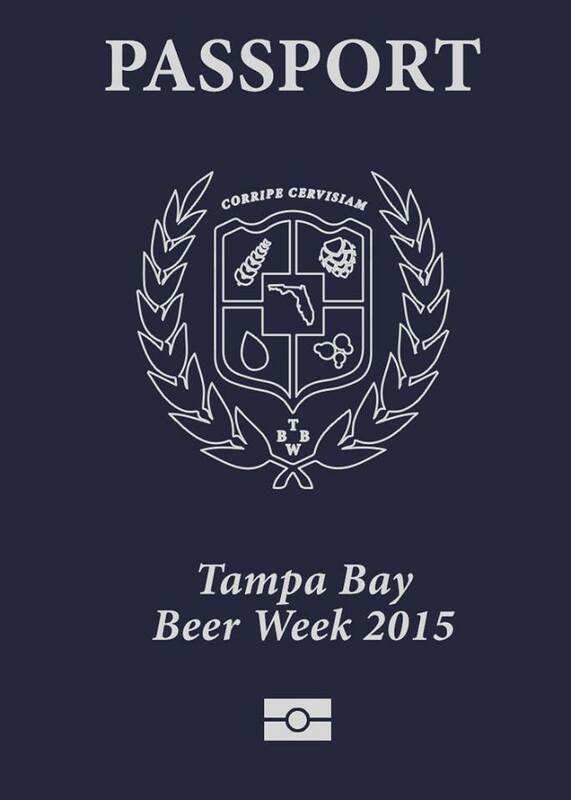 Tampa Bay Beer Week is about beer and beer culture. While we have some incredible beer being brewed here, there are also some amazing things being done in other parts of the country and the rest of the world. Expand your horizons. Try something new. You might just discover your new favorite! For the full list of events submitted to us, check out the official Events Page. There is a good chance more will be added, so keep checking back! Here are just a few that I am excited about. I really wish i could be at every single one! 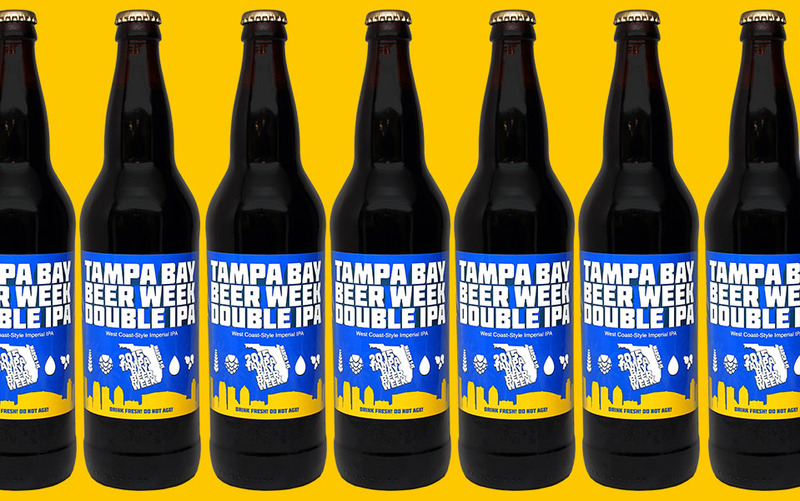 While Tampa Bay Beer Week technically begins on Saturday, we are holding two kick-off parties to get things going on Friday night, one on either side of the Bay. In Tampa, the Pour House will be pouring all Florida beers, and in St. Petersburg, the Flying Pig Taphouse will be featuring beers from our Tampa Bay Beer Week sponsors. Both will have passports available for purchase, as well as TBBW shirts and glasses. The parties start at 8:00pm. 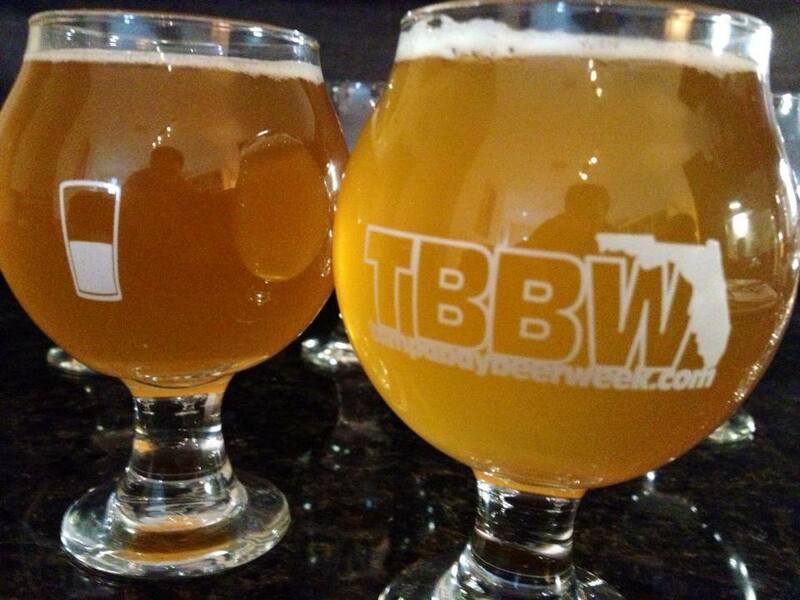 It has been the tradition for Tampa Bay Beer Week to kick off the festivities in conjunction with the Florida Brewers Guild Craft Beer Festival, and that will continue again this year. For the second year in a row, it will be held at the beautiful Cotanchobee Fort Brooke Park in downtown Tampa, and feature beers from nearly every brewery in the state. This one is a lot of fun, so you will not want to miss it. You can also expect to see the collaborative cask tapped again, featuring a blend of brews from all around the Bay area. If you can’t make it over to Tampa, or you are looking fro something a little different, you can check out the 5th Annual Dunedin Craft Beer Festival, in Dunedin’s beautiful Edgewater park. With over 60 beers from 36 Florida breweries (including 5 special cask tappings throughout the day), as well as live music and food, and free admission, this is a great family friendly way to spend the day. One of my favorite events every year is the Best Florida Beer Championship Brewers Ball. 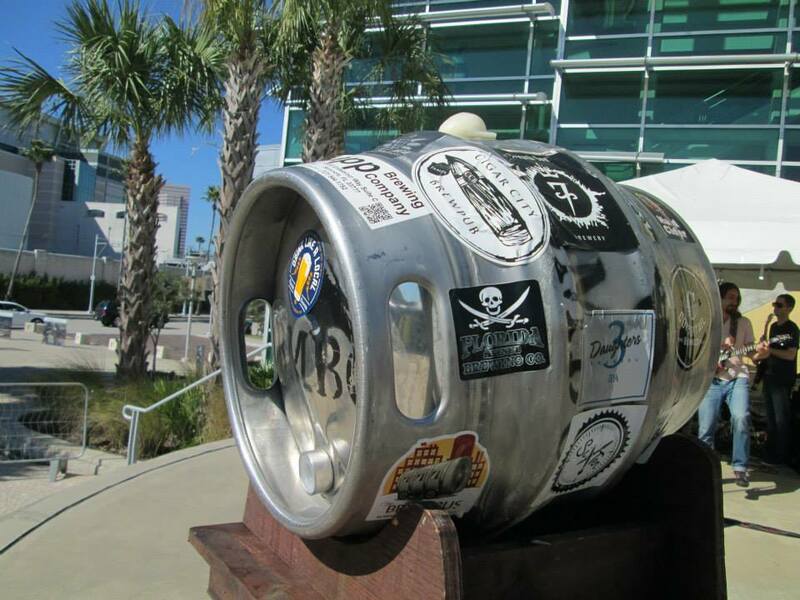 It is a celebration of brewing in the state of Florida. The intent is to gather brewers from across the state for the presentation of the Best Florida Beer Championships best of show winners. This is literally the best beer brewed in the state in each category. The Ball features live music and samples of the Gold Medal winning beers from the Best Florida Beer Championships commercial competition. 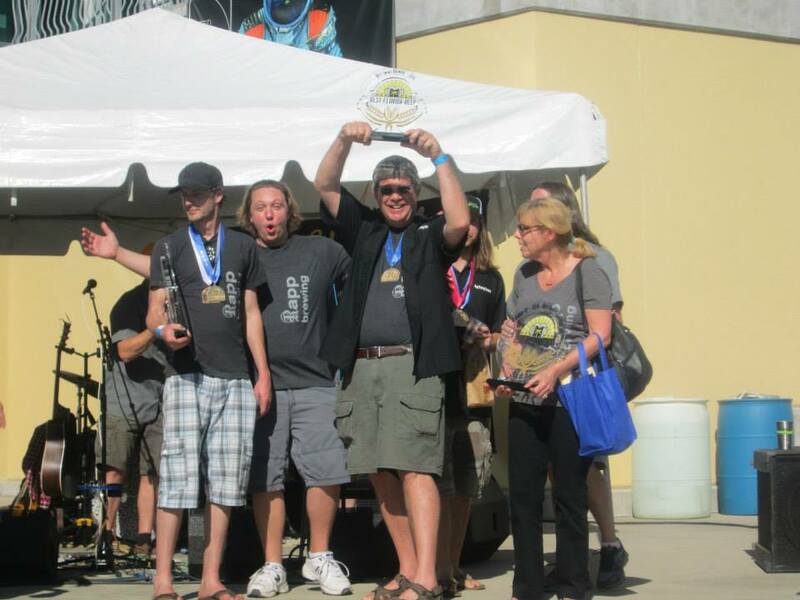 Best of Show Awards are announced for the Homebrew and Commercial competitions. There will also be a homebrew keg competition and Awesome Beer Raffle. Tickets are scarce, so if you can find one, grab it! A little further south today, at Darwin Brewing in Sarasota, join brewer Leslie Shore as she brews her Pink Boots Society Brew with 10 lucky ladies. There will be 7 special release IPA treatments available in the taproom in honor of the 7 days of TBBW including hibiscus, coffee, raspberry, pineapple, and more! I have wanted to say this for a long time: I have my own official TBBW event this year!!! Teaming up with my dear friend Tom Barris (#thatdamnTomBarris), we are putting on a beer writers panel discussion at the Ale & the Witch in St. Pete called The Parched Barris & Beer for the Daddy Present: Blogs, Brews & BBQ: Inside the Beer Writer’s Mind. As the craft beer scene continues to grow, so does the number of people who choose to “fuss over it”, to borrow a phrase. At the forefront of that movement are those who write about it, from the bloggers to the journalists, and those who take that terrifying leap into writing actual books about the subject! Of course, there will be beer to drink and BBQ to eat. While I would love to not recommend anything else this evening, I have to give a special mention to another event. On February 11 this year, local beer buddy Aaron Legg suffered 4 seizures and has been hospitalized since then. The seizures caused Rhabdomyolysis, a breakdown of muscle fiber which leads to the release of muscle fiber contents into the blood and causes damage to the kidneys. Until his creatine levels return the normal, he’ll remain hospitalized. Unfortunately, Aaron only had dental insurance. Even if the hospital writes off most of it, there are still bills he’s going to have to pay out of pocket. To help Aaron out, some other local beer folks are putting on a fundraiser at St. Pete Shuffle called Shufflin’ for Legg. So, this is absolutely a good cause and we should support the efforts here. No beer week is complete without a beer-pairing dinner, and Tampa Bay Brewing Company has it down to a science. I have attended every one of these, and they just get better every year. This year, the dinner will feature a six course meal with each course paired with a select, sometimes rare beer. Chef John Boyle and Brewmaster David Doble will be on hand to talk about the food and the beer pairings. In addition, special guests (hint hint nudge nudge) will speak during the dinner about issues related to the food and beer being consumed. As I mentioned, Tampa Bay Beer Week is a celebration of beer from all over the world, and few establishments have done more to advance that cause than The Independent in Tampa. Give some Cheers to Belgian Beers and their mini-Belgian beer fest, and join brewery representatives from Belgian breweries such as St. Bernardus, La Trappe, Rochefort, Duvel and others on hand to discuss the history and brewing process of the various Belgian beer styles such as Saisons, Blondes, Dubbels, Tripels, Trappist ales, Sours, and Witbiers while you taste your way through the styles. A limited amount of Cantillon will be available for tasting while supplies last. One of the standout breweries that has helped define and shape our local beer culture is Tarpon Springs’ Saint Somewhere. 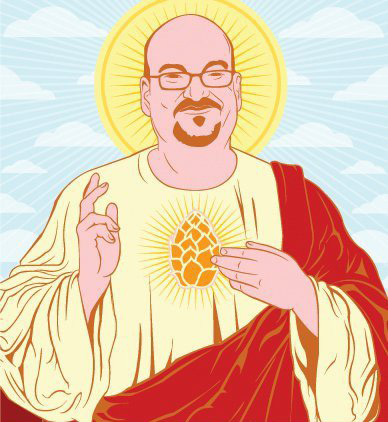 With his take on the Belgian and farmhouse styles, Bob Sylvester has been all but canonized as “Saint Bob” in local beer circles. During Beer Week, grab a ring side seat at Mr. Dunderbak’s in Tampa for the Battle of the Saints as Bob puts his beer trivia knowledge up against the brewmaster from legendary Belgian brewery St. Bernardus. Enjoy a select cheese pairing and beer tasting as these giants collide. There has been buzz for several years about South Florida brewery Funky Buddha. They made headlines with their Maple Bacon Coffee Porter a while back, blew everyone away with their incredible Last Snow, and also managed to open a second facility and continue to produce top notch beers of every style. But much to our chagrin, these beers rarely, if ever, made their way to Tampa Bay. That is all about to change. Their official ingress into the Tampa Bay area beer market will debut at Cigar City Cider and Mead in Ybor City with the Funky Buddha Prelaunch Kickoff. A lineup of 14 beers (including MBCP, Last Snow, Hop Gun, and Mojito Blonde) will be available. if you have never had any of FB’s beers, you have missed out. The journey from idea to execution is a long one for would-be brewery owners. The reality of what it takes to make it happen and be successful is usually forgotten and replaced with a romantic mystery of happiness, brotherhood, and financial abundance. 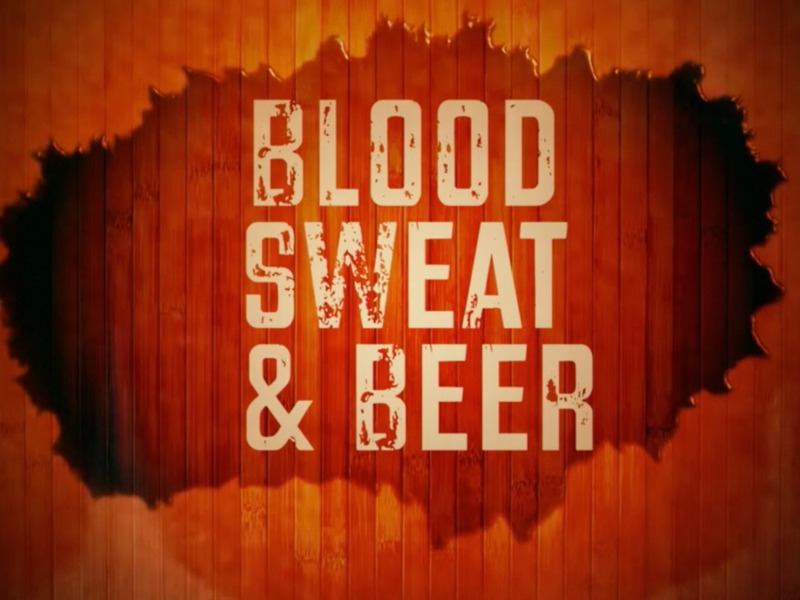 Cutting through that is the new documentary film Blood, Sweat, and Beer, screening at Mad Beach Brewing on Madeira Beach. This may mark the first time a film has been an official part of Tampa Bay Beer Week, but I doubt it will be the last. We all know that food pairs with beer better than any other beverage. But how do you decided what dish to match with which brew? Join the Tampa Bay B.E.E.R.S. homebrew club at Southern Brewing and Winemaking for their Try This! pairing event. Experience finely crafted small plates paired with complementary homebrew and commercial craft beers. Just in the past two years, St. Petersburg has made a name for itself with its amazing beer scene. Right at the heart of that has been Green Bench Brewing. The first in Tampa Bay to have an oak foeder for fermenting, Green bench’s name has become synonymous with sour beers and creative experimentation and blending. 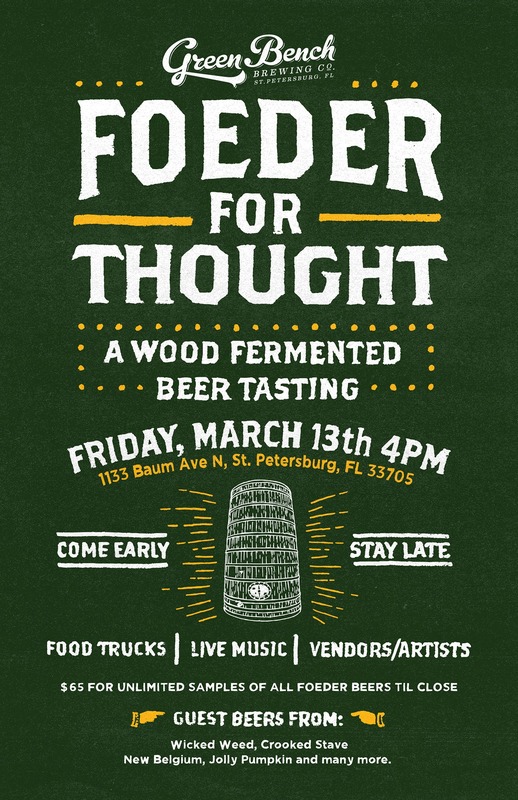 Foeder for Thought is in it’s second year, and this year looks to eclipse 2014 with its awesomeness. every beer on tap in the tasting room will be fermented in Oak Foeders from Green Bench Brewing, Jolly Pumpkin, Crooked Stave, New Belgium, and more. In addition to foeder beers there will be oak sour beers pouring outside of the tasting room with food trucks, bands and local vendors on site all night. This is an event not to be missed. Sour beers not your thing? Well, i’ll bet you can’t say no to some delicious smoked meat! The 2nd Annual Brisket & Beer Brew N Que at Pair O’ Dice Brewing in Clearwater will pair the breweries beers with lots of competition quality slow smoked brisket served Texas style. Really, what could be better than beer and BBQ?! The big daddy, the show of shows, the grandest stage of them all… I have heard Cigar City’s Hunahpu’s Day referred to by a number of titles. It lives on, in spite of some of the struggles of 2014. This year those issues appear to have been addressed, and things will be different. But here’s the thing: if you did not get tickets when they were made available a few months back… you are not going. There are no day-of tickets, and attendees will have to bring an ID matching the name on the ticket to get in. Period. So if someone tells you they have an extra or someone near the line to get in comes up and offered you a ticket at half price, they are most likely scamming you. Next week, I will talk about the details of H-Day. So, no Hunahpu tickets? What’s a beer geek to do? Don’t worry, there are still great things going on around town. 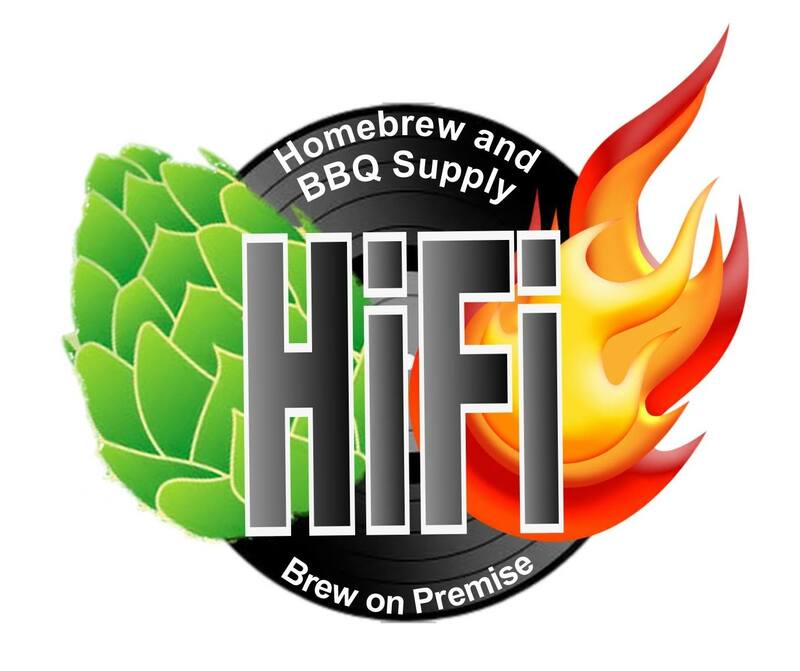 The newly opened HiFi Homebrew and BBQ Supply in Clearwater will dim the lights and bring you HiFi After Dark: The Three B’s (Beer Flicks, Bottle Share & BBQ). You will be treated to a free double feature featuring two classic beer movies. First it’s the brilliant 2013 documentary “Beer Hunter: The Movie”. Shortly after the conclusion of the first film, there will be a bottle share, so make sure you raid your beer stash before attending. Then finish the evening off with the 1983 cult classic “Strange Brew”. HiFi owner Robb Larson will be BBQ’ing pork throughout the evening, so make sure you bring your appetite along with you. While there is plenty of space, chairs are limited so please bring a blanket or chair from home. This is as local as you get! Wrapping up the week, you are going to need food, good company, and some hair of the dog. Lucky for you, there are a couple of great options on either side of the bay. 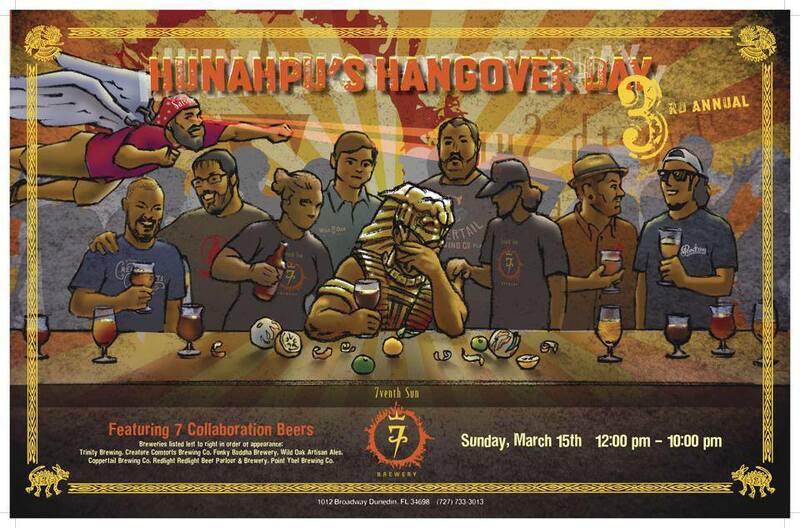 In what has become somewhat of a tradition, 7venth Sun Brewing hosts the weary with Hunahpu Hangover Day. With 7 collaboration beers with Trinity Brewing, Creature Comforts Brewing Co, Funky Buddha Brewery, Wild Oak Artisan Ales, Coppertail Brewing Co, Redlight Redlight Beer Parlor and Point Ybel Brewing Company, and who knows what else will show up, this event has become a staple of Beer Week. If you are in the mood for some delicious breakfast items and maybe beered-out by Sunday, check out the Brewer’s Brunch at Southern Brewing & Winemaking. With special mead and cider mimosas and a waffle bar out in the beautiful biergarten, this is a great way to gently bring your festivities to a close. As a final note, I want to remind everyone to please be safe and responsible during beer week. We want you around next year, and we want everyone to have an amazing time. Remember to hydrate, remember to eat, and whatever you do, please do not drink and drive. Get a cab, call Uber or Lyft, rideshare with a designated driver. There is simply no reason to put you life and the lives of others at risk. ~ by Sean Nordquist on March 6, 2015.